To make the material on this site more navigable, the content has been broken out into various ages and eras. The start and end dates of each age or era are not hard and fast. Rather, they are a general guidelines and may vary slightly from series to series. 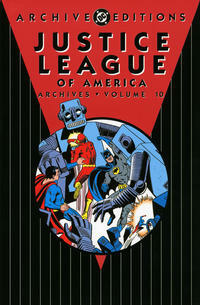 The Golden Age refers to DC Comics material published prior to circa 1956. The Silver Age refers to DC Comics material published between circa 1956 and circa 1970. 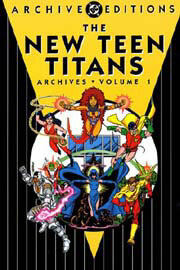 The Bronze Age refers to DC Comics material published between circa 1970 and circa 1986. 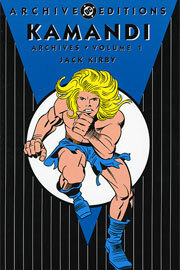 The Dark Age refers to DC Comics material published between circa 1986 and circa 2000. The Millennial Era refers to material published circa 2000 to cover date September 2011. 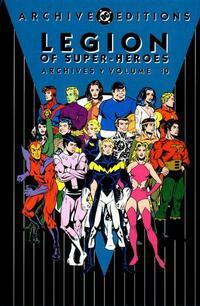 The New 52 Era refers to material published since cover date October 2011 to present. Continued from the Silver Age! This site is intended for reference and promotion of the DC Comics line of collected editions as well as DC Comics and their properties. This not-for-profit, non-commercial fan website is not affiliated with DC Comics. Any trademarks and images from DC Comics that have been used herein for editorial purposes remain the exclusive property of DC Comics. All other elements of this web site, including but not limited to site design and content, are copyright 1993-2012 Matthew S. McCallum, all rights reserved.